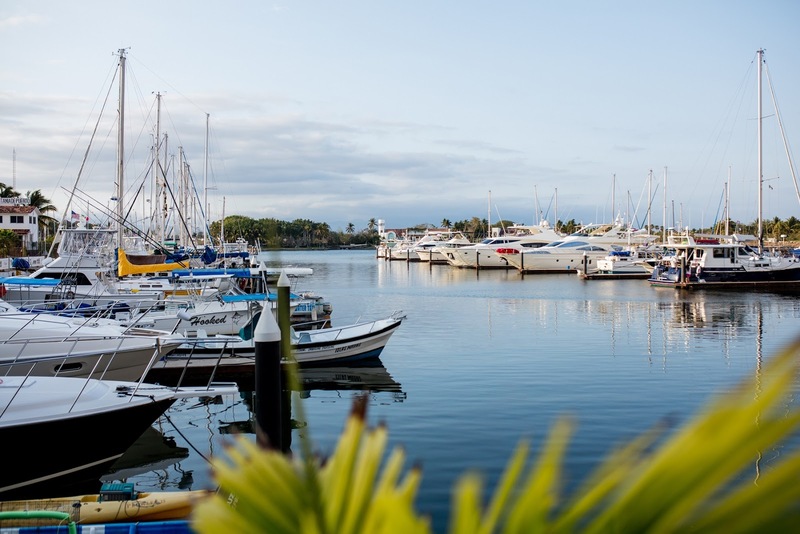 Luxury hotels, golf courses, marinas, beautiful beaches, and high-end restaurants… Everything you need is in the Náutico Turístico development! 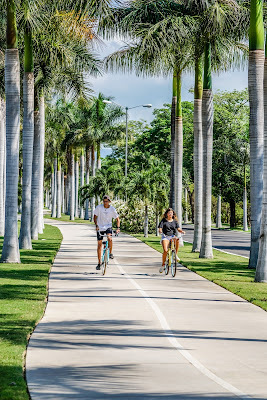 Even after 30-plus years since it was created the Fraccionamiento Turístico Náutico Residencial in Nuevo Vallarta continues to be one of the most innovative developments in the area thanks to its concept and design. Along with the neighboring Condominio Maestro Los Flamingos, it has all the characteristics and advantages of a leading tourist micro-destination. The development was designed to offer tourists and residents a welcoming and luxurious experience. 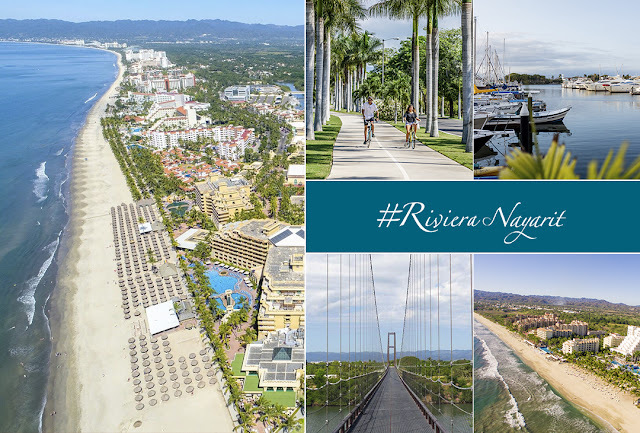 Currently over half the accommodations in the Riviera Nayarit are located here and its hotels and resorts are among the most luxurious, not to mention it boasts two of the most prestigious 18-hole golf courses. The beaches in Nuevo Vallarta-Flamingos sport calm waves, soft sand, and warm water, making them just perfect for a little R&R. Many vacationers opt to run or walk along the shore, while others simply lay out to work on their tan. The more intrepid hit the water aboard a fast jet ski, paddle surf or even kite surf to catch a view of Banderas Bay from the sky. Visitors who stay in a condo, residence, or vacation home will find the beach access is quite easy. All they have to do is head to the Bahía de Banderas Trust Beach Club (FIBBA) with its ample parking and thatched-roof palapas available to rent for a nominal fee. If beach-goers want a little more privacy away from the crowds that gather there during the Easter holidays or the end-of-year vacation period, all they have to do is walk towards the northern end of the beach where there are plenty of quiet spots to enjoy. This development has also received several environmental awards, among them the Blue Flag certification for Playa Nuevo Vallarta Norte and the Silver EarthCheck Certification, not to mention being named Mexico’s first Clean Tourist Destination thanks to its water and waste management operations, urban infrastructure, and natural resources. With the EarthCheck certification, the Fraccionamiento Náutico Turístico maintains its leadership within a select group of sustainable tourist destinations that have received this international recognition. 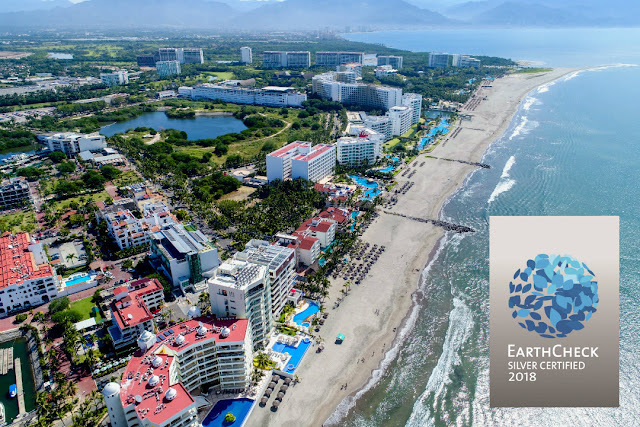 As for accommodations, the Grupo Vidanta hotels, the Hard Rock Vallarta, and the Grand Velas Riviera Nayarit have also received EarthCheck certifications. Many travelers know the best way to get up close and enjoy the scenery is on a bicycle. And because Nuevo Vallarta is a sustainable micro-destination, it made certain to have good healthy alternatives for its visitors. Nuevo Vallarta’s bike path has been a fun attraction since it opened in March of 2015. Every day dozens of tourists and locals hit the trail for a run, on their skates or on their bikes to wind through the thick vegetation alive with beautiful birds. Some hotels offer bike rentals, as do some area outfitters. The path is 3 km (1.86 mi) long and runs alongside the Paseo de los Cocoteros avenue, just a few meters from the beach. 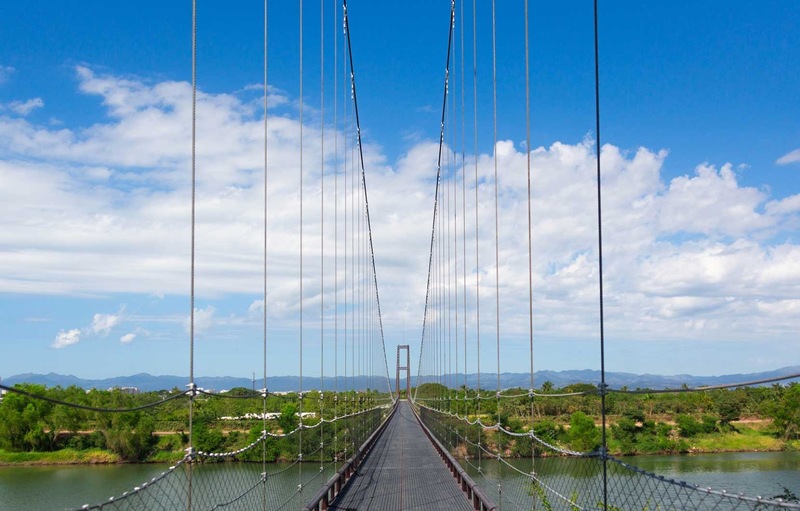 From there it connects with the sidewalk at the Condominio Maestro Flamingos and continues another 3.5 km (2.17 mi) all the way to Federal Highway 200. Few destinations offer the services, luxury, and comforts of the Riviera Nayarit, all of which extend to its five marinas. Three of them are located in Nuevo Vallarta: the Marina Nuevo Vallarta, located in the “El Chino” estuary, has all the services visitors expect from a high-end port; the Marina Paradise Village, located in a protected natural lagoon and surrounded by elegant residences; and the small and discrete Boutique Marina Pueblo Náutico. The three have every luxury amenity needed to for their guests’ comfort and are a great base of operations go explore and experience the many charms of the Riviera Nayarit. The Riviera Nayarit has become one of Mexico’s top golf destinations with an excellent reputation among players enhanced by offering the best courses and hosting the most celebrated tournaments. There are five professional courses in Nuevo Vallarta-Flamingos. The oldest is the Flamingos Golf Club, inaugurated in 1970. This course was designed by Percy Clifford and is known for its adequate difficulty level and mature design. Then there’s the impressive El Tigre Golf and Country Club, one of the development’s icons, created by Robert Von Hagge and opened in 2002. Finally, there’s the Nayar Course, located within the Vidanta development and designed by Greg Norman Signature and The Lakes. Nuevo Vallarta-Flamingos is located just 15 minutes from the Puerto Vallarta International Airport. It borders to the north with the town of Bucerías, to the east with Federal Highway 200 (Tepic-Puerto Vallarta), and to the west with the Pacific Ocean. 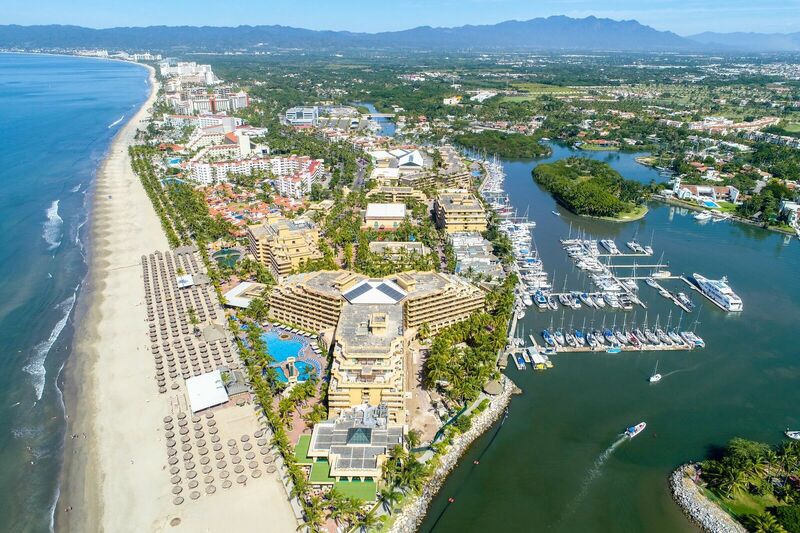 The Riviera Nayarit Convention and Visitors Bureau (CVB) and the Bahía de Banderas Hotel and Motel Association (AHMBB) work continuously to promote the destination with the support of the Government of the State of Nayarit via its Tourism Promotional Trust (Fiprotur). The cultural tourism product offer is an invaluable asset for these promotional efforts.